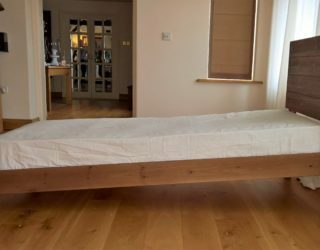 Ideal for the smaller bedroom with limited headroom. 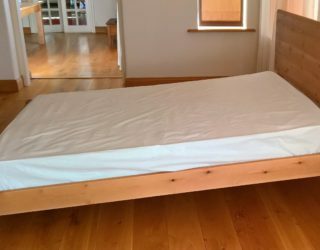 The Test is at home in a loft conversion with a sloping ceiling where the height of a headboard could be an issue. 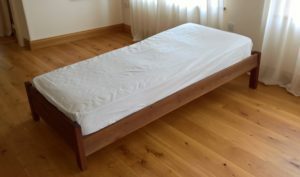 Simple design, low spacial impact, it is built to the same high standards as our other beds . 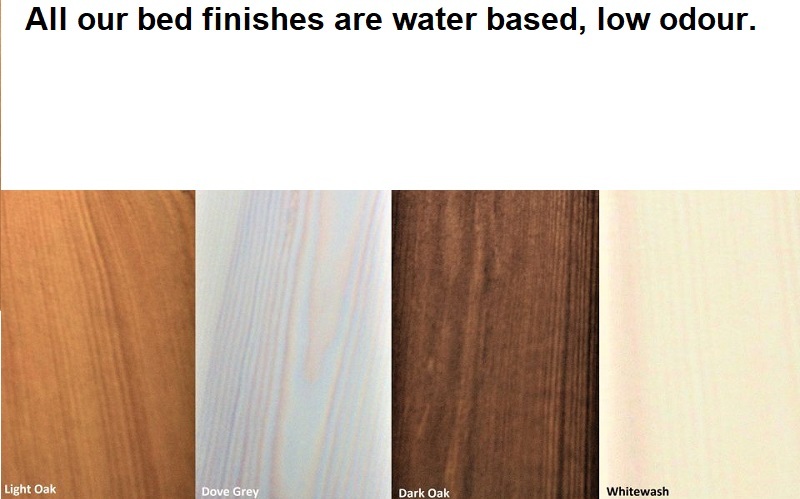 Just like all our handmade solid wooden beds made in Exeter, it has our water soluble eco friendly finishes. 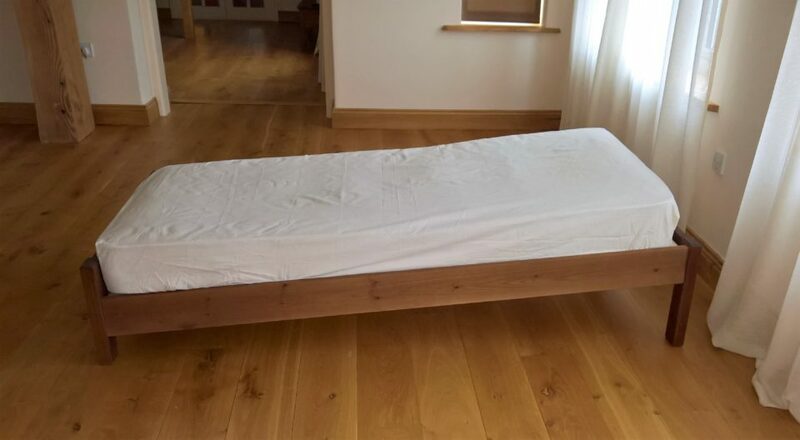 Gravity inclined inclined bed therapy can be beneficial to many conditions. 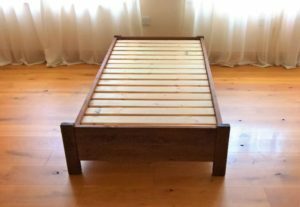 The bed will fit a standard mattress in all sizes from single to super king. 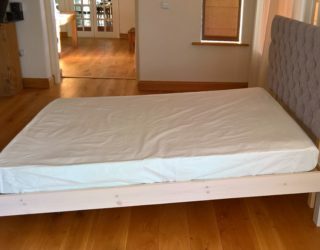 The foot board is raised to keep the mattress firmly in place and stop it slipping. 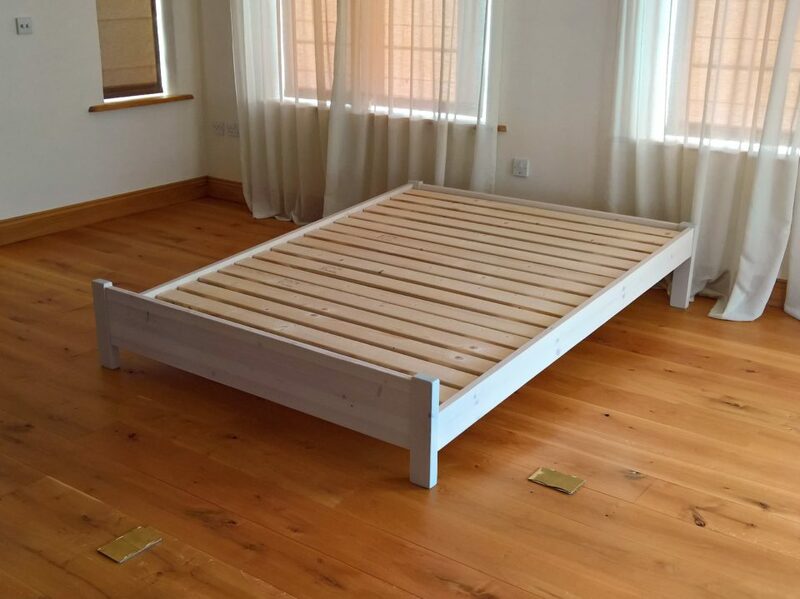 Inclined bed therapy is where one’s bed is raised at the head end with a 5 degree downward slope. 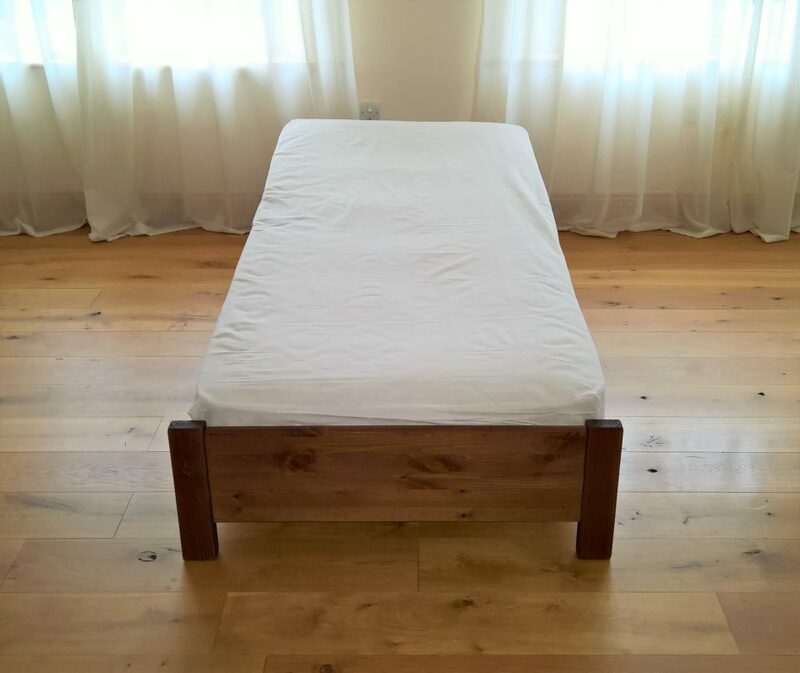 This can be useful in disorders such as spinal cord injury, back pain, acid reflux or GERD, sinus and respiratory disorders, sleep apnea, poor circulation. Gravity inclined sleeping is exactly what it sounds like. 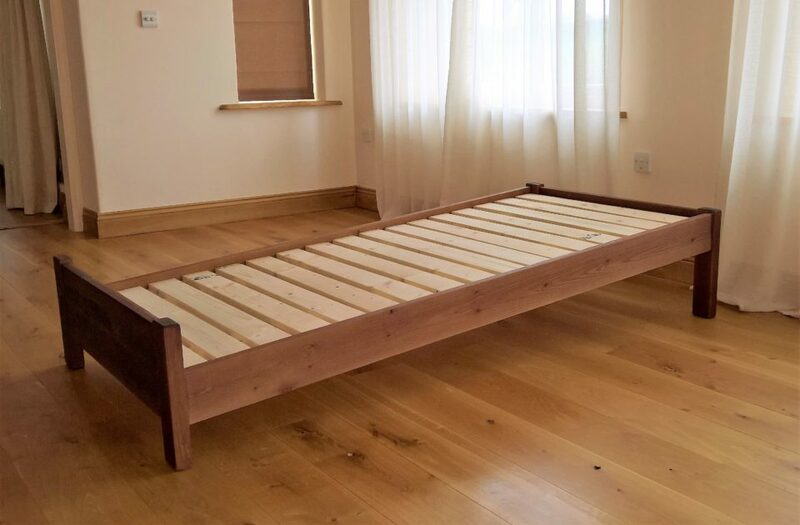 Instead of sleeping on a flat surface, the bed is at an incline of 5 degrees. Gravity inclined sleeping also has numerous benefits on body structure. 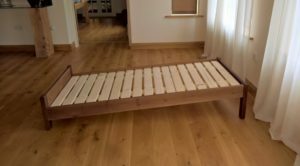 The slight incline is enough to restore the force of gravity on the body. In westernized countries, there is an epidemic of sleep disorders. 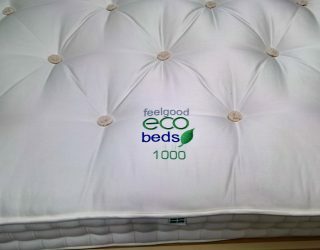 Sleeping on an inclined bed can help to open the airway, alleviating snoring and restoring oxygen to the brain. 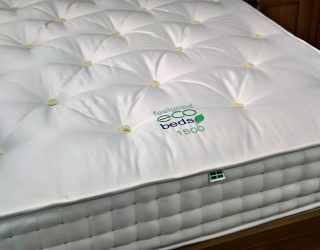 It has been shown that a 5 degrees slope is the ideal incline for improved sleep.